Fall is the perfect time for festivals. The chill in the air is a welcome relief from those Mississippi summers. 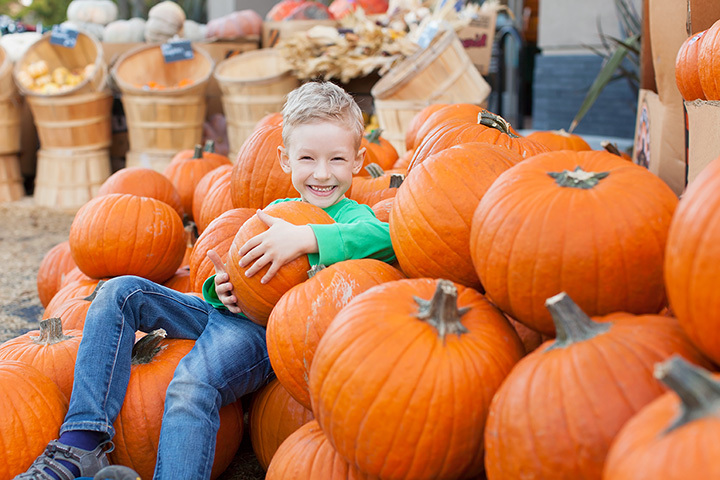 Gather up your friends and neighbors and hit the streets to take part in one of our picks for the top fall festivals in Mississippi! Every October, thousands of antique and classic cars converge on the Mississippi Gulf Coast for Cruisin' the Coast. Billed as "America's Largest Block Party,” Cruisin' features venues set up all across the coast. There are also special concerts and other events for participants throughout the week! This one is fun for everyone, no matter the age! It may seem like an unlikely location, but Greenville, Mississippi, has declared itself the “Hot Tamale Capital of the World,” and they back up that claim with the annual Delta Hot Tamale Festival. The festival has even been featured in Southern Living magazine. Delta tamales are made with ground corn meal, and vendors serve them in a variety of fashions—so bring your appetite! Every fall, the city of Laurel holds the Loblolly Festival to celebrate the town's sawmill past. The one-day festival transforms this Main Street community into a fun outing for the whole family. Be sure to check out the chainsaw artists, who demonstrates art for the public during the festival. If you love chicken wings (and who doesn't? ), the Wing Dang Doodle Festival is for you! The winning team takes home a $1,000 prize, so if you think you have what it takes, sign up! Otherwise, just show up and enjoy attractions like the antique tractor show and the always-hilarious chicken crowing contest—and admission is free! If you're looking for a celebration of arts and crafts in Mississippi, look no further than the Peter Anderson Arts & Crafts Festival. Peter Anderson was the master potter who founded Shearwater Pottery, and the festival began as a way to celebrate his artistic influence on the area. Today, the festival boasts crowds of as many as 150,000! The live music, a kid-friendly play zone, arts and crafts, and awesome food should be enough to get you on board for the Gautier Mullet Festival, but if they're not, maybe you'll show up for the famous Mullet Toss. Laugh, cheer, and compete to see who can throw a fish the farthest! There's also a car show, and parking and admission are free. The Mississippi Valley Flywheel Festival is held twice a year, in the spring and the fall. Take advantage of the beautiful autumn weather and come out to Joe Brigance Park to celebrate the history of flywheel engines, which can be powered by steam, diesel, or water. Attractions include a skillet throw for ladies and a piston toss for men, as well as demonstrations on making lye soap and cooking cracklins. Nothing says fall more than Oktoberfest, and the annual event in Carthage is always a good time. Held in the Carthage Coliseum, this is one of the state's oldest indoor arts and crafts fairs. Bring the kids and let them decorate their own pumpkins in the pumpkin patch, then sample food and arts from the hundreds of vendors! View more Mississippi Festivals, Fairs and Parades.